Following a public hearing on September 22, 2016, the Canadian Nuclear Safety Commission (CNSC) announced today its decision to remove the Gunnar Remediation Project Phase 2 regulatory hold point. This will allow Saskatchewan Research Council (SRC) to proceed with the remediation of the other site aspects, including the waste rock, open pit and mine openings, at the Gunnar legacy uranium mine site in Northern Saskatchewan. In making its decision, the Commission considered submissions from SRC and two intervenors, as well as CNSC staff’s recommendations. CNSC staff will report annually on the Gunnar Remediation Project’s performance at a public Commission meeting where members of the public will have the opportunity to intervene. The Gunnar site is the location of a former uranium mine and mill. The site is being remediated by the SRC under a CNSC waste nuclear substance licence. The remediation project is being implemented in three phases. The current licence includes regulatory hold points for Phases 2 and 3 of the project. 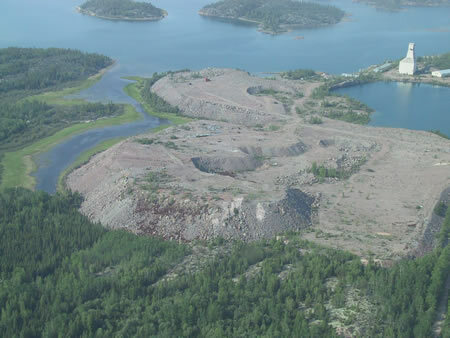 After a hearing in September 2015, the Commission approved the partial removal of the Phase 2 hold point, as it pertained to the tailings remediation.